Duracopy Permanent Paper looks and feels like paper but that’s where the similarities end. Duracopy is a white coated polyester film that won’t bend, bubble or curl and will go through most laser printers and copiers. The product is tear proof, water proof, grease and dirt proof and won’t yellow with age. Print in Black and White or full colour photographic images. Duracopy is available in A4 , A3 and A5 size-and is great for a large range of applications. Duracopy Permanent Paper combines the tear proof, moisture repellent, soil resistant qualities of plastic with printing fidelity and colour brilliance of high quality paper. Also known as Tear Proof Paper or Waterproof Paper, it is the ideal stock for heavy duty uses and can be imaged on one or both sides. Duracopy Permanent Paper loads, stream feeds, and collates just like conventional papers. The physical qualities of Duracopy Permanent Paper are unlike any other Copier or Laser Printer stock you’ve used. It will not buckle or curl because it is not affected by the heat of your printer. 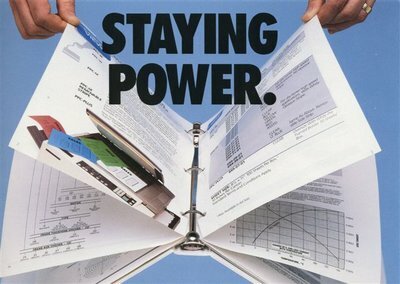 Duracopy Permanent Paper is a unique synthetic paper, designed for demanding applications. Try to tear it. You can’t. It lasts through multiple use and rough handling. Perfect for heavy duty applications where liquids or moisture could damage printed materials. Spills and stains are repelled and do not affect the printed surface. 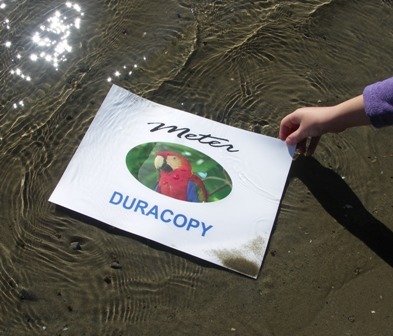 To clean Duracopy Permanent Paper simply wipe clean with a wet cloth or put under tap. • Industrial Training manuals in wet or dirty environments or archival. • Mining and workplace applications. • Primary Industries-Timber labeling / Horticulture etc. • Long Term Signage, maps, price lists. • Aquatic Centres and Swimming Pools. • Military and Naval applications. Duracopy Permanent Paper is Available in A4, A3 and A5 sizes. Duracopy is available in A4, A3 in boxes of 100 sheets and A5 sizes in boxes of 200 sheets. Click on the links below for more Information.